Dan Boyle won’t be fondly remembered for his time spent on Broadway. It didn’t work out for the proud American who will announce his retirement at a press conference as a Shark. 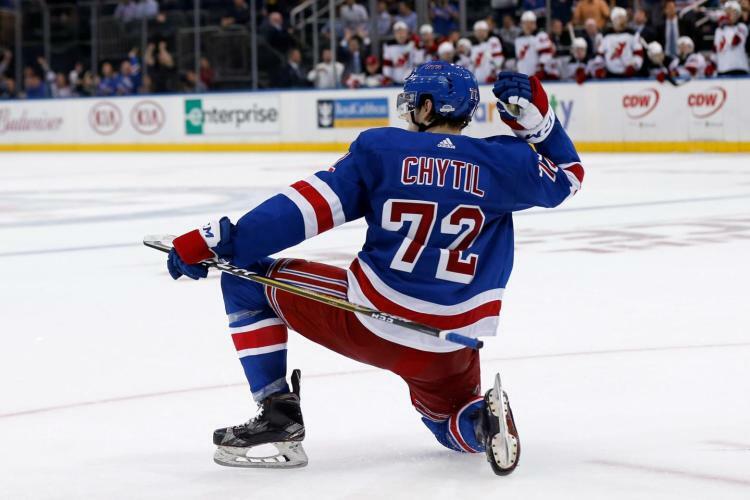 A more fitting conclusion than the way his two-year run as a Ranger ended with him shouting and cursing out New York Post troll Larry Brooks. For a player who went undrafted, Boyle became one of the better offensive defensemen in the NHL. After hardly sticking with the Panthers, he found a home with the Lightning. Under John Tortorella, he flourished in an offensive system helping patrol the blue line as part of a Stanley Cup championship in ’03-04. At one time, Tortorella emphasized a Safe Is Death philosophy that worked perfectly. Boyle was front and center on the defense contributing big numbers that included a 13-goal, 53 point season, a 15-goal, 53 point season and a career best 20-goal, 63 point season. In ’04, he skated in 78 contests tallying nine goals and 30 assists while adding 2-8-10 in 23 playoff games to help the Lightning win their only Stanley Cup. He logged big minutes and played hurt. After lasting half a dozen years in Tampa, he was traded to San Jose where he also spent six seasons. Continuing to produce for the Sharks, Boyle added three consecutive 50-point seasons along with a 48-point campaign. That also included a playoff best 16 points (4-12-16) in the 2011 postseason that saw the Sharks reach the Western Conference Final. Following ’13-14, he signed a two-year deal with the Rangers. Looked at to improve the power play, Boyle was up and down. After not finding his groove in the regular season during ’14-15, he was one of their best performers registering three goals and seven assists in a deep run to the Eastern Conference Final. In scoring 10 goals during his final season, it marked the seventh time during his career that he totaled at least 10 goals-or-more. Seven times, Boyle had at least 40-plus points. He also went over 30 in nine seasons. Boyle finishes his career with 163 goals, 442 assists totaling 605 points in 1093 games. He went 17-64-81 in 130 playoff games. This entry was posted in Battle News and tagged Dan Boyle, Lightning, Panthers, Rangers, retirement, Sharks. Bookmark the permalink.